Muslims and peoples of all creeds and none. Imams and Scholars of The Mosques centred around The Central Mosque of Birmingham, signed the Religious Edict (Fatwa) below. This is a binding Fatwa upon approximately 150 Mosques and their congregations and upon the broad spectrum of Muslims. On Tuesday 20th. 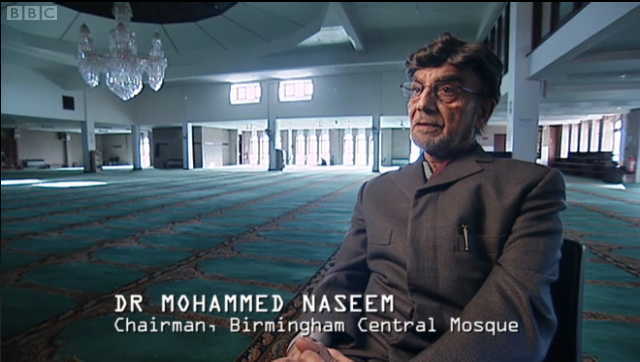 June 2006 The Chairman of The Birmingham Central Mosque Dr. Mohammed Naseem Drove to South Gloucestershire to meet with myself and a UKIP member with whom he has been dealing. to deliver to the media and the peoples of these United Kingdoms. becoming increasingly aware of the irresponsibility of the media and their lack of desire to publish Good News we are now proud, my associates in UKIP who lay claim to Christianity as their faith and I of no religious beliefs, to deliver into the public domain this momentous step in the direction of peace and liberation from terrorism on behalf of the Muslim community represented. We appreciate that a few moderate Muslims, in pursuit of peace, have voiced points within this Edict; however this is the first time that 150 Mosques have joined together, to agree and put their names, by signature of their Imams and Scholars, to a single document in declaration and undertaking for peace; in the form of an Official Religious Edict or Fatwa. This is not a declaration of peace but a clear and unequivocal declaration of intent based upon the Religious Beliefs of Elders of Islam, leaders of The Muslim community. In a spirit of peace and a desire for harmony I would ask you to act with a greater sense of responsibility than that displayed by the media contacted and distribute this Fatwa as wide and as far as you can. Match the bold commitment of these Muslim Leaders. 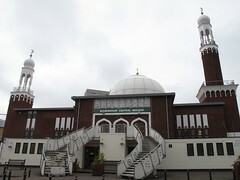 We, the leaders of the majority of the mosques in Birmingham, have discussed and considered the existing situation of fear and mistrust in the country and feel that there is an urgent need for dialogue and understanding between the communities as well as the Muslim community and the political establishment. We believe that, for the progress of our people, the country needs an approach of inclusiveness and not alienation. We have, therefore, decided to take the first step and state categorically the Muslim position on issues where there seems to be some confusion amongst media, public and the political leadership. We, therefore, issue this religious edict and state for all concerned that killing of innocent civilians is absolutely forbidden in Islam and anyone who contemplates or commits any such act, does so against the teachings of Islam and anyone who contemplates or commits any such act, puts himself outside the pale of Islam. We also categorically state our view that an armed struggle for any reason is the prerogative of a Muslim government within the bounds of international law and Islamic code of conduct. This is not a responsibility for individuals to take upon themselves. We have taken upon ourselves to regulate the activities of every mosque to ensure that people are given the right message of calmness, civic responsibility, citizenship and Islamic behaviour in all situations. Let us also state openly and frankly, that at this time, actions taken by our government in Afghanistan, Iraq and its attitude to the situation in Palestine has caused dismay, disbelief and anger in the Muslim community. We feel that there is a need for sensitivity and respect on all sides. We have stated the religious position without any reservation, we have stated our resolve to monitor and guide Muslim response in accordance with the principles of Islam and requirements of good citizenship. We are confident that all mosques in the country will support our stand and join us in this effort. This resolution was adopted at a meeting of religious scholars and Muslim leaders representing majority of the mosques in Birmingham and neighbouring areas. on Saturday 17th June 2006 at 19.30 pm. It was also decided that, henceforth, this body will act as a representative council of mosques in Birmingham and will be available for any dialogue and discussion in future. All enquiries may please be directed to the Birmingham Central Mosque at the afore mentioned address. CAVEAT for Mischief makers and the corrupt! This Fatwa is in the wording supplied to me in written form by Dr. Mohammed Naseem on Tuesday 20th. And differs slightly, but not in intent, from the version on Birmingham Central Mosque Web Site. Dr. Naseem and I have discussed a wording of even greater clarity for further issues with the signatures of additional Mosques, Immams & Scholars. There will be dishonest enemies of peace who will seek to distort the issuance of this initiative for peace and exploit variances for their personal and evil gain. As with British Justice rather than EU Law consider the clear intent with honesty and integrity. If anyone has ANY doubts do not lie about the document until you have established the facts – my eMail and phone number are clearly shown herein.